Where are you from originally, Mick? I was born in Dublin city and I lived most of my live in the North of the county. It’s been four years already. Time certainly flies! Work and health. 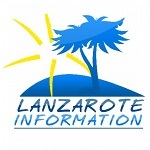 I had a connection in Lanzarote, Denise, a PR that I had met in Salou when I lived there. I asked her if there was work for me here and the rest it’s history. Also, arthritis runs in the family and I was beginning to suffer from it quite a lot due to the weather in Ireland. Well, the warm weather it’s not only pleasant but it means that my arthritis is much more manageable. The cost of living is also cheaper and being a small island it’s quite easy to get from one point to another for my gigs. For music when I’m not gigging myself I like to go to The Island Bar or the Craic & Ceol. For food, I love going to Lomo Alto, their steaks is super. I also like eating at Bear Grills that recently opened up. (All of these are in Puerto del Carmen, by the way). As for natural spots in the island, I quite like Playa Quemada, as it’s not as busy and touristically spoilt as other beaches. And in terms of music, what do you play? I play the guitar and I sing. What can someone that has never heard you expect? I do a bit of everything: pop, rock, Irish music and what I call cheesy stuff, basically anything I get asked for. Unless it’s too controversial. I don’t like controversial songs, I feel people are here to enjoy their holidays, not to feel uncomfortable. My gigs are very interactive, I always ask the audience for requests. I can vouch for that, Mick can sing pretty much anything that you ask him to, including some very convincing renditions of Britney Spears and Beyoncé! Where do I start and how long have you got? Let me see… For example, as far as artists in Lanzarote go I like Mick Bennet, Rory Gallagher and Collie Farrell. In Ireland I admire more acoustic musicians like Damien Rice and Glen Hansard and I also like Led Zeppelin, Thin Lizzy, U2… Music runs in my family too: my father played 21 instruments! My uncle and my son are also musicians, my daughter is a singer and my two brothers are singer songwriters. That’s quite an impressive and varied list, indeed. Do tell us, do you have any special projects coming up? I have been involved with other artists’ albums in Lanzarote like Mick Bennet’s and I am currently working with Phil from the Irish Harbour Bar on his country album.Also, for the last four years I have put together a Love Album for my partner, Carol. She wasn’t happy with just one love song, no, so I’m doing a whole album! One of the tracks is called “Can Any Really Over Love?” which obviously spells her name. All the songs are recorded, some of them at the Windmill Lane Studios in Dublin, there is just 7 more to mix. It could be ready for Christmas or in another 4 years! I recently wrote a song called “Old Friend” in honour of the late Gerry Meates, another great entertainer in the island as a tribute to him. This is the video that I also produced: https://www.youtube.com/watch?v=iA8dGc50-Ak. A very touching tribute, indeed, for those who had the pleasure to know Gerry. Any thing else you’d like our readers to know about you? Well, I have also been a teacher and nothing fills me with more pride that to see some of my students surpassing themselves and reaching news levels of accomplishments. In Ireland I use to run an open mic and I let a band called Fangclub play to get experience when they were younger. Back then they would have been labelled but their album made it to number 5 in the Irish charts. Also I am a cleanup animation artist and back in Ireland I worked in blockbusters such as “An American Tail” and “The Land Before Time” by Don Bluth Productions. (You can see all of Mick Garry’s animation jobs on https://www.imdb.com/name/nm2624306/). Wow, you are certainly are a jack of many trades, aren’t you? Going back to the music… when and where are you playing at the moment? Mondays and Fridays in the Dubliner in the Papagayo Shopping Center in Playa Blanca at 21:30h. Sundays at 17h. 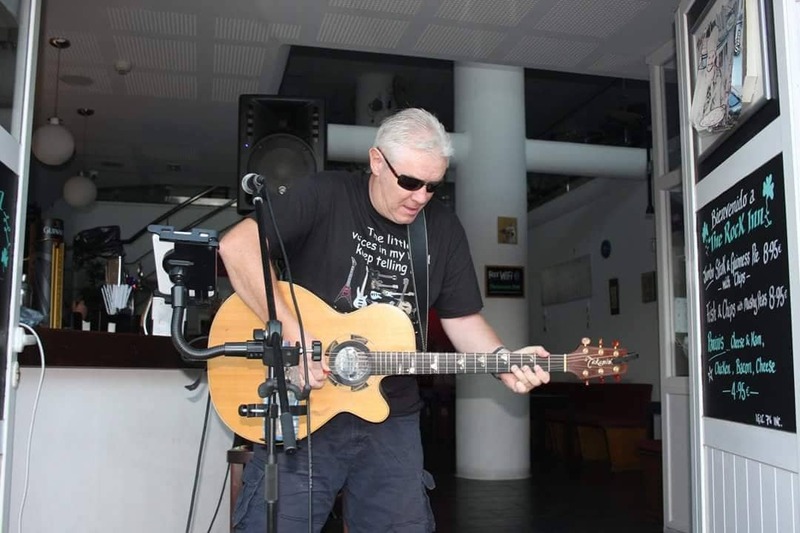 I do an afternoon gig at the Rock Inn in the harbour in Puerto del Carmen. How can our readers keep up to date with your gigs and projects? They can follow my Facebook page: Mick Garry Music (https://www.facebook.com/MickGarryMusic/). I have also starting using Instagram, you can find me as @mick_garry_music. Is there anything advice you’d like to tell our readers? Absolutely! When you come to Lanzarote, check out the local musicians, ask around to see who is playing where. There is loads of good entertainment around! Images courtesy of Molly Swain – thanks Molly! Read more about Puerto del Carmen.